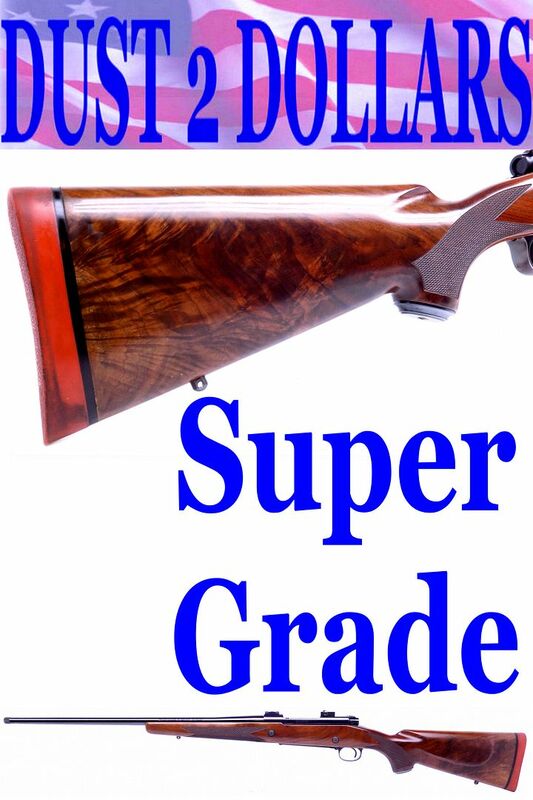 This auction is for a Winchester Model 70 Classic Super Grade rifle chambered in .338 Winchester Magnum caliber. 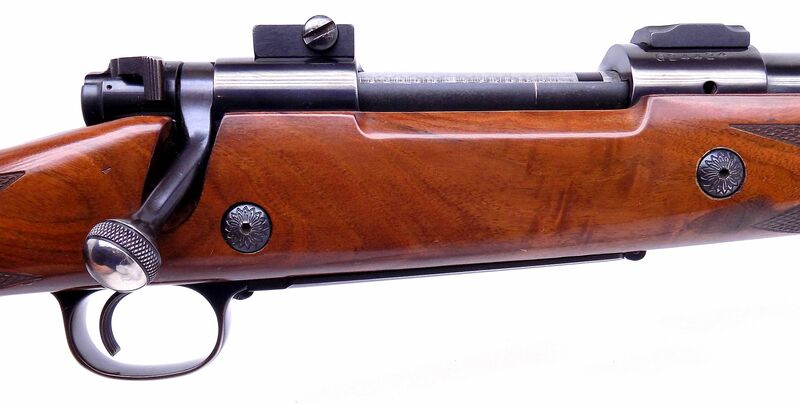 This rifle has the Pre-64 Claw Extractor controlled round feeding style bolt. The floorplate is marked "Super Grade" and it has the jeweled follower and bolt. I remember when these first came out the stock quality was hit or miss. Well this one is definitely one of the nicer stocks I've seen on a Super Grade in this version. The stock has a few minor marks and small dings in it as we have shown in the pictures. But overall it is in excellent condition as you can see. The high gloss bluing is in very fine condition with some signs of use. 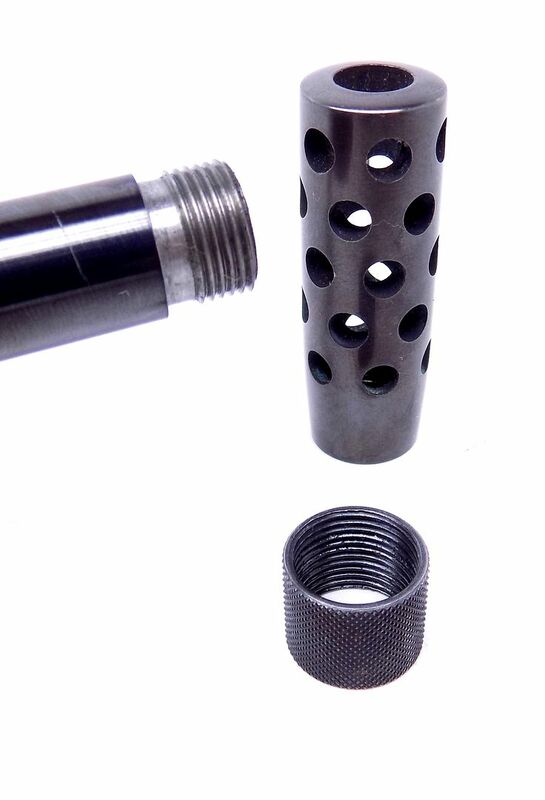 The barrel has been threaded and has a muzzle brake with it as shown. The bore is excellent with no issues and the gun functions as it should. It wears a set of scope mounts and is ready for your optics. 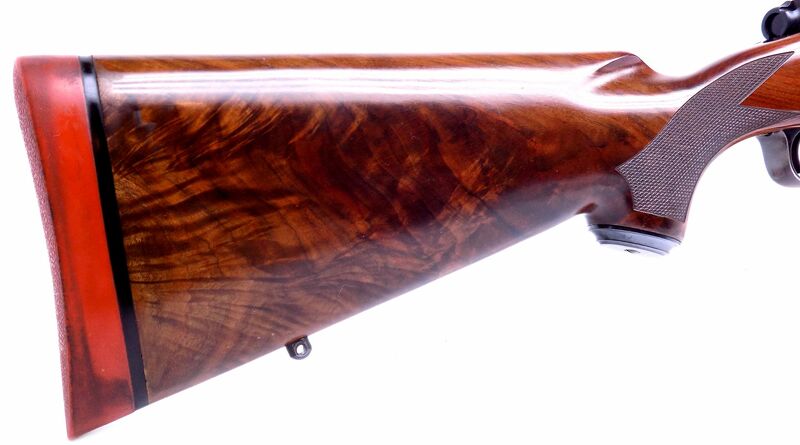 Overall a very fine looking version of the iconic Winchester model 70 rifle. This will be shipped fully insured to your FFL dealer UPS Ground for $48 with signature required. With the gun shipped in a new double walled foam lined cardboard box that we have manufactured for us so that your gun arrives safely.